Hello, Lovely Book lovers of the universe and welcome back to my book blog. 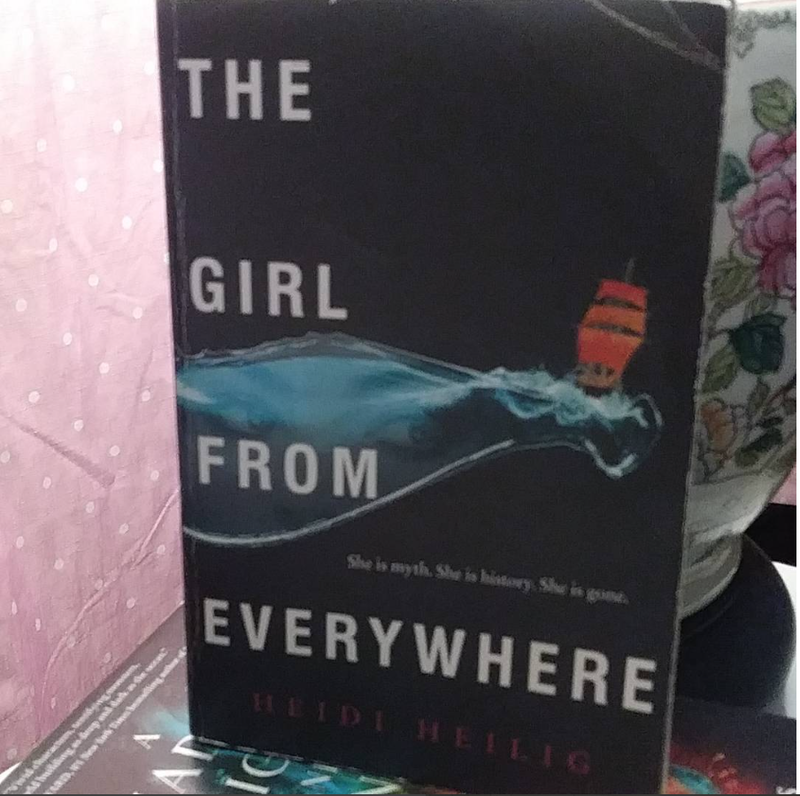 This blog will focus on The girl from everywhere by Heidi Helig which is the first book in the Girl from everywhere series. I purchase this book off of Amazon on June 25th after hearing about it on Booktube aka Youtube. Now let's get to the summary of the book. 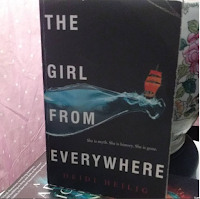 This book is about a young girl named Nix who is 16 and was born in Honolulu Hawaii in the year of 1868 to a Chinese mother who was born in 1841 and to an American father who was born in the 1980s. Nix's Father is a ship Navigator well more like a Time Navigator (kinda of a Jack Harkness for you Doctor Who fans), and he is able to travel by boat and map to different times. He eventually rescues Nix after her mom has passed away and he raises her. She raises more like a Crew member than a Daughter but they still have their moments together. As Nix gets older they travel to a fake time of sorts and picks up a Crew member by the name of Kashmir. When this book takes Place Nix and Kash are starting to feel things for one another. Finally, they all chance upon a map that they believe to be Honolulu 1868 but it's not, it is much later, and in order to retrieve an actual map of 1868 they must first help Americans, over throw the Hawaiian Kingdom to make them bankrupt in order for America to gain the islands. But at the end of the book, it quickly becomes more than the typical mission of stealing money and turns to Hawaiian ghost soldiers legends. But in order to know more, you need to go buy or borrow the book, to read this great time travel journey.